The EPA defines stream monitoring* as the periodic or continuous collection of data (measured parameters) using consistent methods. The types of monitoring and the reasons for collecting data vary tremendously. Water quality monitoring is commonly defined as the sampling and analysis of water (lake, stream, river, estuary, or ocean) and conditions of the waterbody. Water quality monitoring can evaluate the physical, chemical, and biological characteristics of a water body in relation to human health, ecological conditions, and designated water uses. In 2009, Solebury Township acquired the title of a 45-acre property located in the epicenter of the Aquetong watershed. 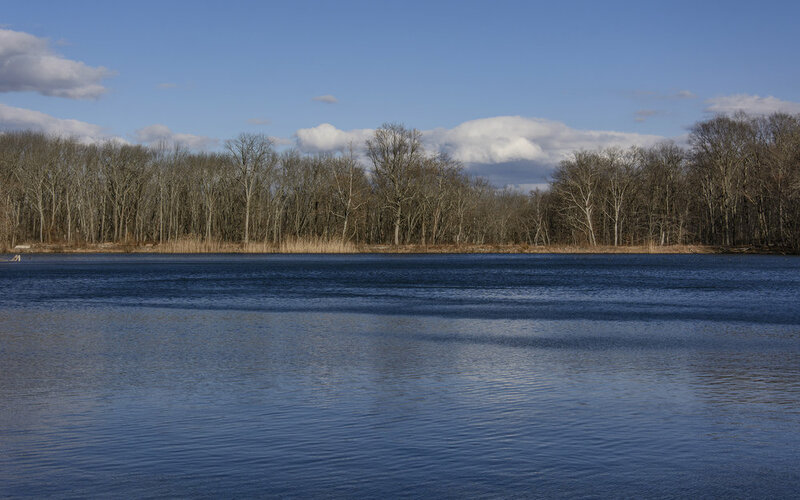 In addition, the Township negotiated a 25-year lease with the Pennsylvania Fish and Boat Commission for the approximately 1/4th acre that includes Aquetong Spring. The waters from the spring flowed into a manmade lake known as Aquetong Lake and then into the main stem of Aquetong Creek. In 2013, the Township decided to remove the earthen dam that created the lake. The dam was breached on July 21, 2015 and the lake was drained, thereby creating a new creek channel. The AWA began a creek monitoring program in April, 2015, before the dam was breached, to establish a baseline and has collected data periodically since that date. The goal of AWA’s Aquetong Creek Monitoring is to understand potential biological community changes associated with removal of the lake. The goal of our monitoring was to understand potential biological community change associated with the dam work. Count the presence of Benthic Freshwater Macroinvertebrates across the pollution tolerance scale. A healthy and diverse stream contains taxa from a variety of macroinvertibrates regardless of pollution tolerance. In addition to biological parameters, we measured water temperature, a lead indicator of stream quality, of the creek downstream of the lake site. When the lake existed, this large body of water would heat up during the summer months, polluting the creek with very warm water. This warmed water led to conditions that would not support trout and other sensitive aquatic species. Our studies of temperature monitoring, demonstrate that the water temperature of the creek has dropped significantly to a much cooler temperature post dam removal. Thereby, creating an environment that is more supportive of brook trout and more aquatic life. 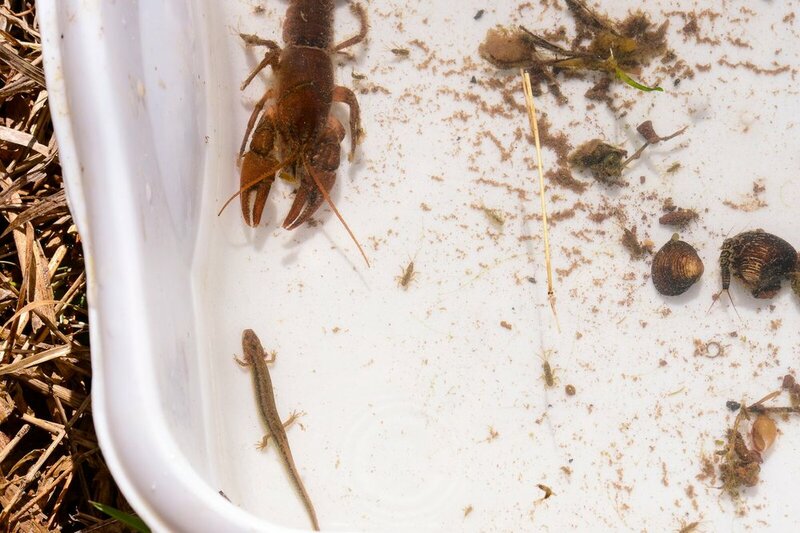 Join us for our next MacroinvertEbrate Study In July! Join Our newsletter for exact date and details!